Nyein Shin Shin is a two year old girl with a type of Spina Bifida called Myelomeningocele. 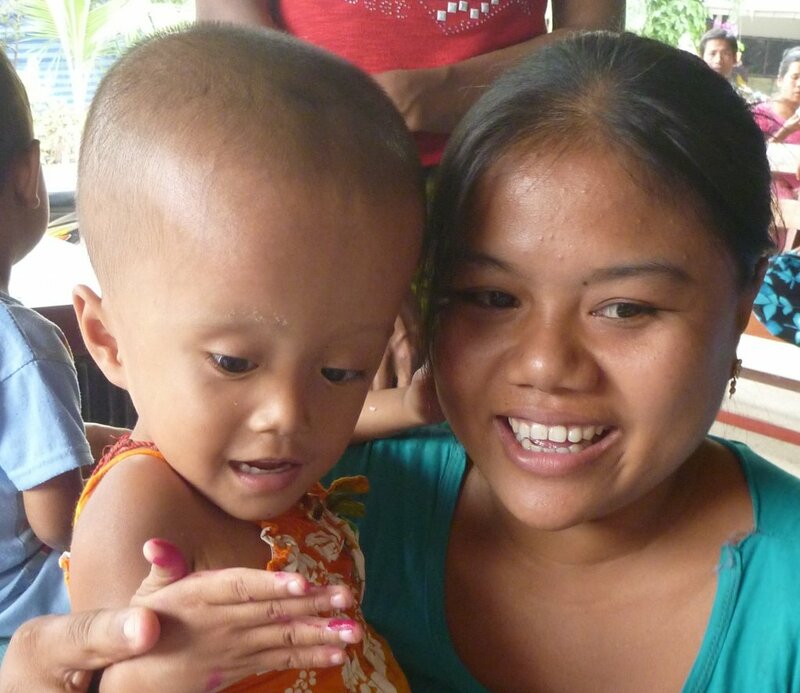 With the help of BCMF, she was sent to Chiang Mai for treatment and surgery a total of 14 times. Though her surgery was a success, she will never walk on her own due to the nerve damage to her spine. Recently Wheelchairs for Kids donated a wheelchair for Nyein Shin Shin, giving her a brand new sense of mobility. When she was born, the doctors thought she would not survive, but Nyein Shin Shin is now a healthy girl. This is her story. To contact us online, please refer to our contact page.